"Howard Mendall and Colleagues "
A photograph of Howard Lewis Mendall and other unidentified colleagues. Handwriting on the back of the image says, "May 1948." 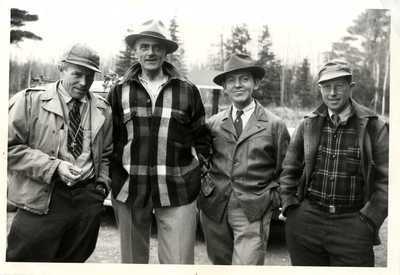 Mendall was a Maine ornithologist known particularly for his study of ducks.